Steam Now Offering Refunds "For Any Reason"
Valve has announced that Steam customers will now be able to request full refunds on games they've owned for less than two weeks and played for less than two hours. There are a lot of games on Steam and not all of them are good. And since you can't trade in Steam games, it basically means that any time you take a chance on a new title you're stuck with it. This has long been something of a point of frustration for many of the service's customers. 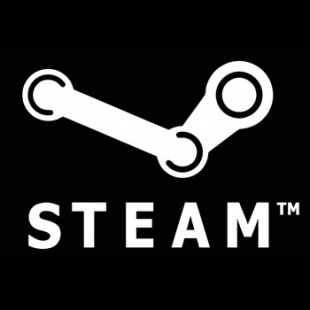 That being the case, Valve has announced today that Steam, henceforth, will be adding a bona fide refund process aimed at giving gamers the tools they need to get their cash back when a game fails to meet their expectations. According to regulations described on Steam's official website, customers will be able to request a refund for any game in their library as long as they do it "within two weeks of purchase and with less than two hours of playtime" logged onto their account. Customers will be able to request refunds "for any reason," including everything from compatibility issues to simply not liking the game. Refunds will be request-able for games, in-game purchases, pre-orders, Steam wallet purchases and bundles. Refunds will not be offered for movies and gifts purchased for other gamers. Gamers who have violated the Valve Anti-Cheat System will also lose the right to request refunds for the games in which they cheated. While many have been understandably happy about these new options, there are some who worry that the "two hour" policy could lead to problems for independent developers. Some indie titles, for instance, have run times that are less than two hours, making it potentially possible to finish them and then still request a refund. While Valve has explicitly stated that it will stop offering refunds to customers who "appear" to abuse them, it goes without saying that determining who's taking advantage of the system might be easier said than done. What do you think of Steam's new refund policies? Do you like them? And how do you feel they compare to other refund mechanisms of other digital game retailers such as GOG?